Our densified/semi-densified shuttering plywood is made with selected hard wood veneers with BWP grade phenol formaldehyde resin. Permanent preservative treatment is applied in pressure impregnation plant to make it resistantÂ to different micro organism. We are one of the major suppliers and exporters of Face Veneers in the international market. The core veneers made accessible by us are made from the superior quality wood. 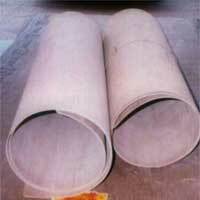 They are used for making Marine Ply, Film Faced Ply, Flexi Ply, Block Board, Flush Door, etc.